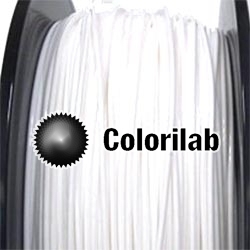 This HIPLA 3D printer filament 1.75mm white is of professional quality. This HIPLA 3D filament offers mechanical properties similar to those of the ABS filaments, while being as easy to 3D print as PLA 3D filaments. Moreover, this 3D filament presents a unique aesthetic feature. To discover!